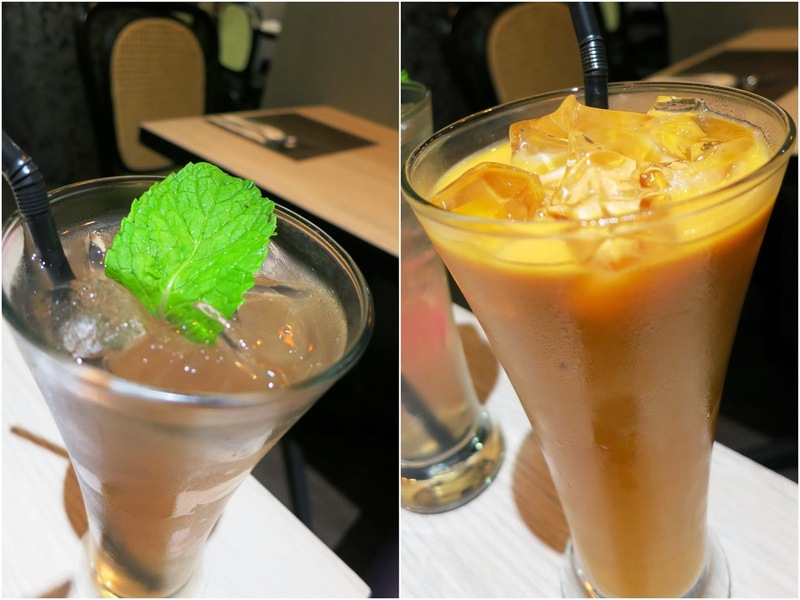 PinkyPiggu: Nara Thai Cuisine ~ Best of Thai Street Food Is Now At Singapore's Ion Orchard! Established in 2006 by founder Yuki Srikarnchana, Nara Thai's concept has proven to be favorable with the diners. The popularity of its first restaurant in Bangkok's Erawan led to the opening of two more branches at Eight Thonglor Building and Central World, and has consistently been on Thailand Tatler's Best Restaurants List. The expansion into Singapore materialized in September 2013, with the iconic ION Orchard shopping mall being chosen as the preferred location to anchor its first overseas outlet. Fans of Nara Thai need not hop on a plane to Bangkok anymore, just hop over to the restaurant nestled in ION's B3 level (where Burger King used to be). With a menu predominantly influenced by cuisine of Central Thailand where the founder hails from, the flavors at Nara Thai are generally milder, as evidently shown in their rendition of Green Mango Salad with Prawns ($12.90). It took on a lighter and more refreshing tone, compared to the stronger blend of sweet, sour and spicy which I'm more accustomed to. Other appetizers like the crispy and well-marinated Deep Fried Chicken in Traditional Thai Shrimp Paste ($9.90) was easy to like, while Hor dóeuvre Nara ($17.90), an assortment of satay, pandan chicken, Thai fish cake and pomelo salad on a single platter, offers variety in tasting portion. Nara Thai is famous for their signature Ayuthaya Boat Noodle with Beef or Pork ($14.90/$12.90) served dry or in soup which makes for a comforting meal by itself. Crowd favourites such as Phad Thai, which comes with a choice of Soft Shell Crab, Prawns or Chicken ($15.90/$15.90/$14.90), no doubt is a perennial presence on the menu too. What's new to me was the Stir-fried Soft Shell Crab with Yellow Curry ($18.90). Pieces of soft shell crab were lightly battered and deep-fried to give a crunchy bite, followed by a toss in the creamy curry spiced with turmeric. A delectable dish of interesting pairing which is best enjoyed with warm jasmine white rice. The Tom Yum Kung ($19.90) was a hearty pot of hugely-sized butterflied prawns in a mildly spicy and sour milky broth. In order not to compromise on quality, locally sourced tiger prawns were used instead of the originally intended river prawns as the latter are not available fresh in Singapore. When it comes to desserts, Mango and Sticky Rice with Coconut Milk (small $6.90 / large $9.80) is always a must-order for me no matter how stuffed my tummy is. But when you’re at Nara Thai, their Coconut Ice Cream with Assorted Thai Sweet Condiments ($8.80) is definitely a sweet-ending not to be missed too! The coconut ice cream reminds me of what I’ll always have when having a break from shopping in Bangkok's Chatuchak weekend market, but for this version, you get to add as much as 8 different condiments! 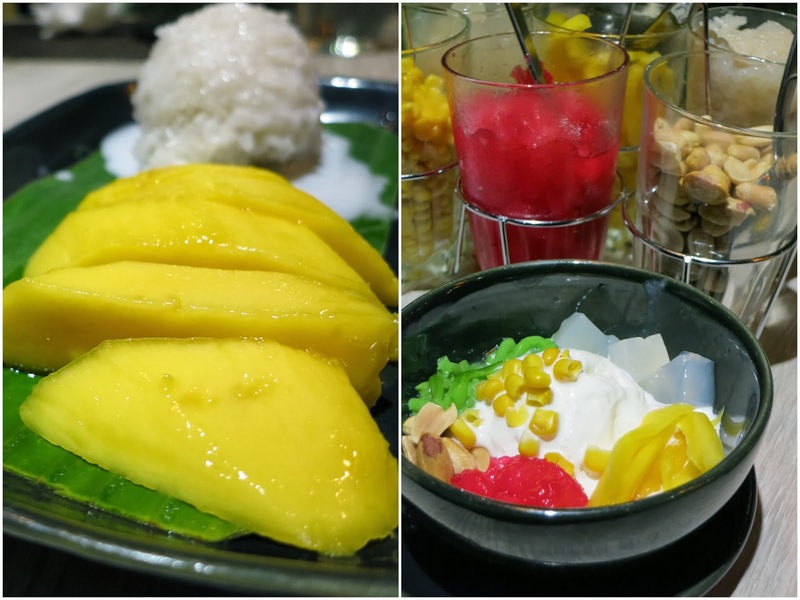 From the fragrant roasted peanuts, red ruby, corn, nata de coco to chendol, palm tree seeds, refreshing jackfruit and glutinous rice, there’s so much of everything. Add all you want! Really! Nara Thai indeed provides a cosy and chic setting to enjoy Thai cuisine in a relaxed and comfortable environment. The restaurant was almost full house when we dined there on a weekday for lunch, and it's gonna get even more crowded during dinner time and weekends. I would recommend you to make reservations if you decide to visit. Though prices are comparatively higher than Bangkok (which is not totally unexpected), a meal here is still reasonably affordable. Thanks to Nara Thai Cuisine for their kind hospitality.